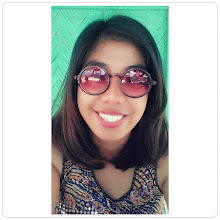 Anyway, here's another post to prove that I am a spontaneous weirdo. Haha! After my friends and I watched Lucy (Scarlett Johansson movie, in case you're wondering), I spotted a cutesy hair color in the department store. 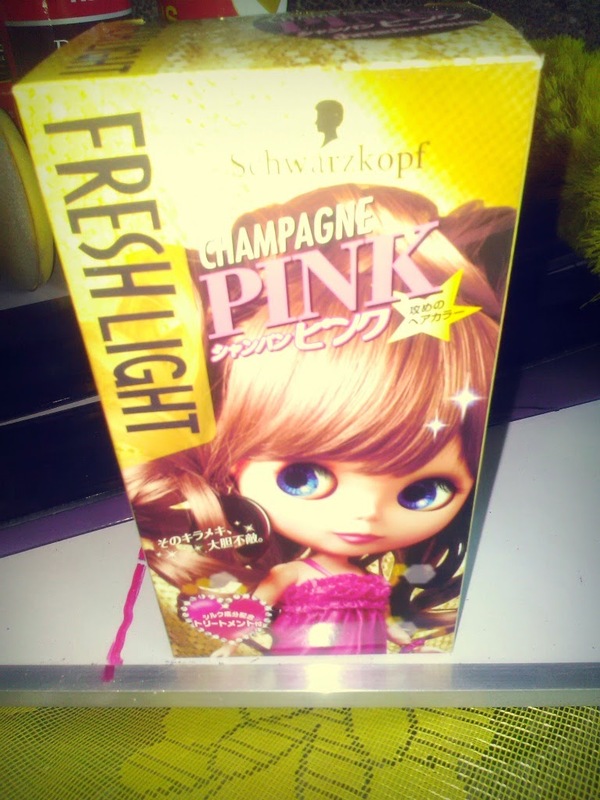 It's called "Schwarzkopf Fresh Light Champagne Pink". It's also called "Blythe Hair Color" because they use Blythe Dolls as models on the boxes. When I got home, I excitedly ripped opened the box. Note: No need to wash your hair beforehand. It's actually better if your hair is free from oil, conditioner or moisturizer. 1. Squeeze the contents of the tube of hair color (marked "1) into the the bottle of developer. 4. Slowly make your way through hair until you reach the to part. 5. Massage gently all over your hair and leave for about 20 minutes. The time will depend on your hair color and thickness so you can adjust the treatment time accordingly. I left mine for about 40 minutes. 6. Wash your hair with water until the the water runs clear. 7. Shampoo your hair thoroughly. 8. Massage the color treatment conditioner on your hair. Rinse well. The result: As you can see, there were no traces of pink on my hair. It turned my hair reddish brown instead. I believe you have to bleach you hair to achieve that Champagne Pink perfection. But no matter, I loved how it turned out! 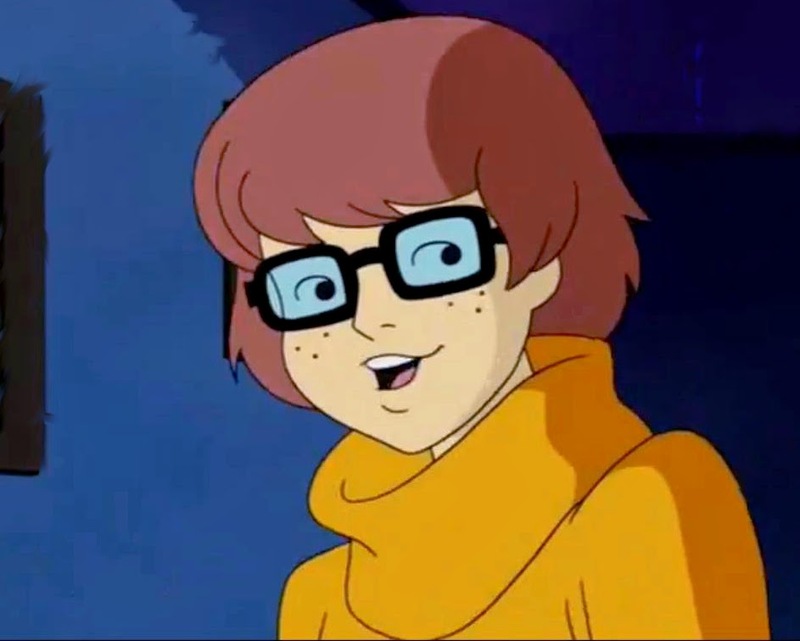 ^__^ Now I looked like Velma Dinkley from Scooby Doo. Nerds rule! lol. 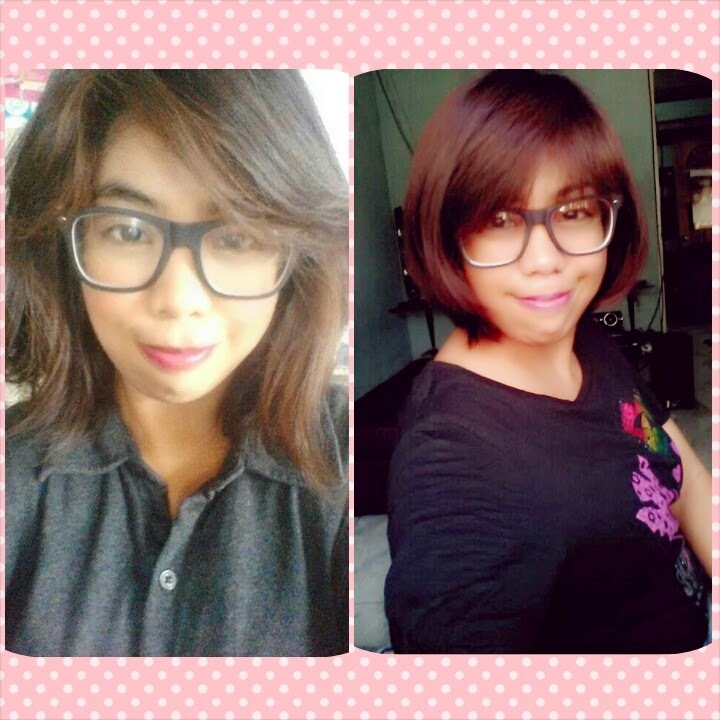 When I got to work the next day, I got mixed reviews with my hair cut (way too short according to my friends) but they love the hair color. They'll just have to get use to my shorter do. Hahaha! i did really want the champagne pink color! :( but I like how it turned out! haha! thanks Jolly Princess!